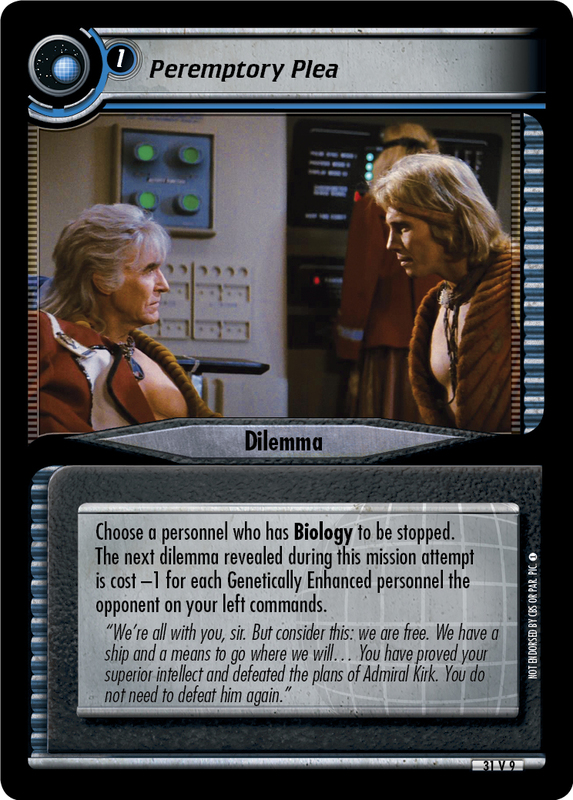 Choose a personnel who has Biology to be stopped. 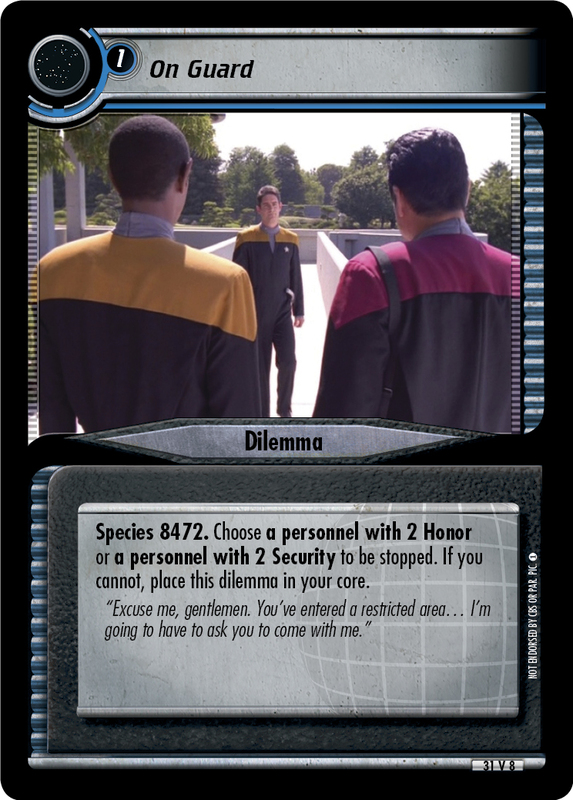 The next dilemma revealed during this mission attempt is cost -1 for each Genetically Enhanced personnel the opponent on your left commands. "We're all with you, sir. But consider this: we are free. 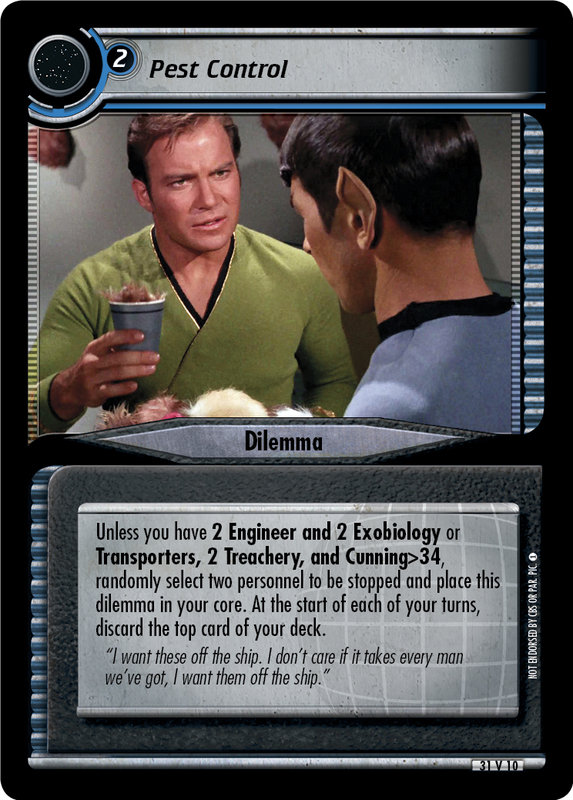 We have a ship and a means to go where we will... You have proved your superior intellect and defeated the plans of Admiral Kirk. You do not need to defeat him again."